Spacious 2 bedroom plus den, 2 bath corner home in The Grove at Victoria Hill. View of the Fraser River, 2 parking and over 1,000 sq.ft of living space. Just steps from Queen's Park, schools, shopping and transit. The area offers a true sense of community with lush green gardens at every turn. 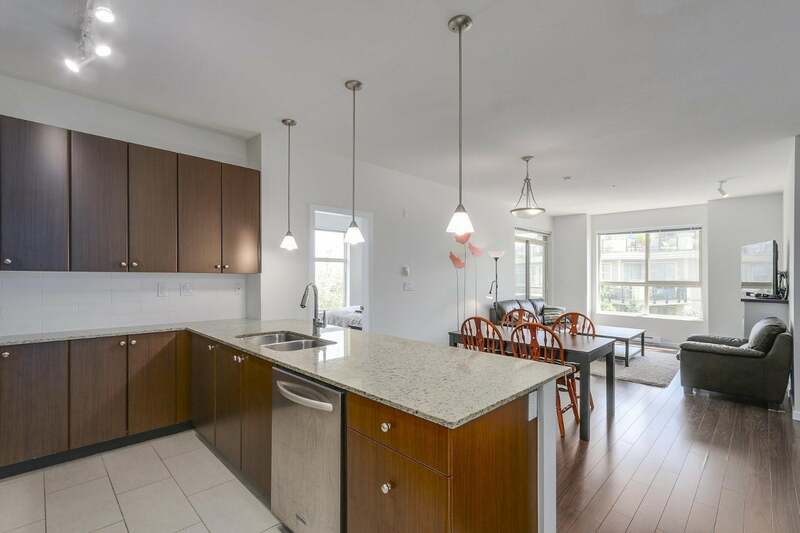 Efficient floor plan featuring separated bedrooms, over-height ceilings, open concept kitchen including granite counters & Kitchen Aid stainless steel appliances, a large patio, secure storage locker, and clubhouse amenities. One of the best units in the development! Open House Sat Aug 13th and 14th 2 - 4pm.